When your Smart Laser Mini arrives, first please check the contents of the package. Tools to be prepared by the customer. Please contact smart DIYs if there are any discrepancies in the described contents or any missing pieces. In the rare case this may occur, please include the product number in your inquiry. 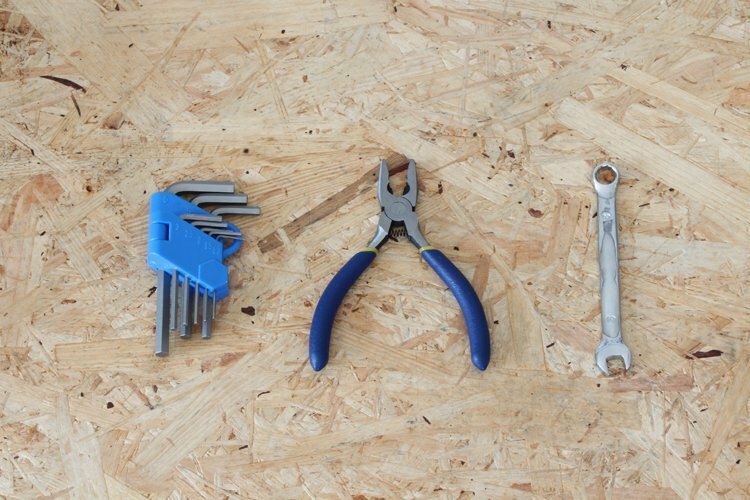 The Smart Laser Mini requires the following tools for assembly. This kit contains a class 4 laser. 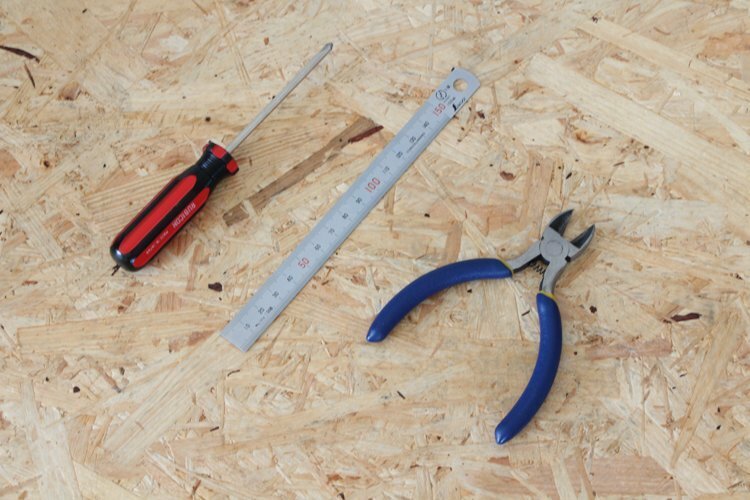 To comply with your local laws and regulations you may need to alter or extend the construction. Operate the laser with maximum responsibility to yourself and others. In addition to the enclosed safety glasses you might consider a housing or separate room for responsible and safe operation. 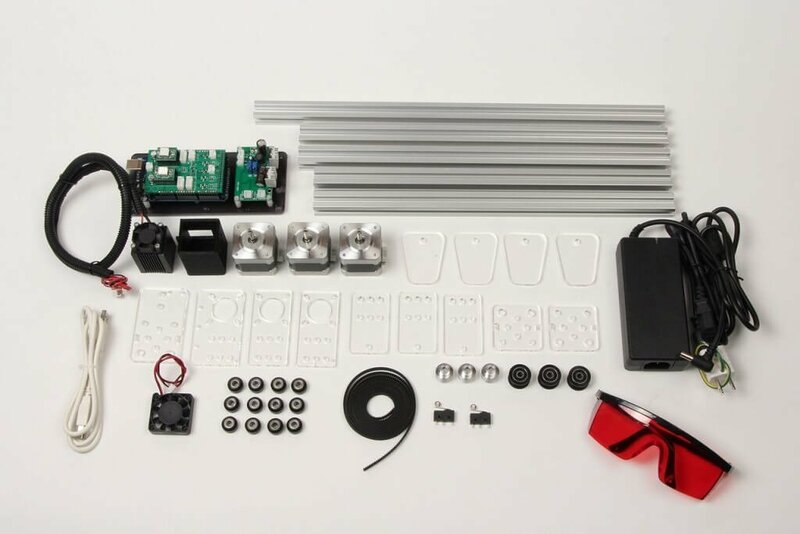 - This product is an assembly kit and requires parts supply. Please consult the manual beforehand. - The edge of the acrylic is very sharp when cut. Please use caution and wear protective gloves when handling. - Do not operate the device when screws and nuts are loose. - Please consult the manual beforehand to determine whether you have resources necessary to assemble the device. - The light generated by the laser is very harmful. Please use extreme caution against possible fire, burns or injury to the eyes. - Do not turn on the ON switch to the laser until assembly is totally complete. - Upon use, do not let the laser light enter the eyes directly or by reflection from a mirror surface. - Be sure to use protective eye wear applicable for the laser wavelength being used. - Never look directly at the laser light even when using protective eye wear or at low laser intensities. - Do not place highly reflective items near the vicinity of the laser. - Do not direct laser light on any part of the body, even through clothing. - Do not direct laser light to items other than the intended work piece or toward other individuals. - Please use the laser cutting machine where there are no flammable, combustible, or volatile substances. - Do not use on materials such as polyvinyl chloride, nylon, polyurethane or other materials which will give off toxic gases. - Ventilate well to allow smoke generated in the laser cutting process to escape. - Operate the laser cutting machine after confirming there are no children in the vicinity. - Never move the laser cutting machine while it is in operation. - Please contact us within 14 days of product delivery in the case of missing or defective parts. We will repair or replace free of charge. Due to the nature of the product, the warranty only covers initial defects for parts. - The customer is responsible for repairs and maintenance. - When using, please keep the specified operating temperature and continuous operating time. If you use it outside the operating temperature and continuous operating time, it will not be covered by warranty. - Please note: we are not liable for breakage, malfunction, injury, accidents or fires caused in connection with the operations of this device.